Like the look of Fractal Design's Define Series enclosures but put off by their typically large size? 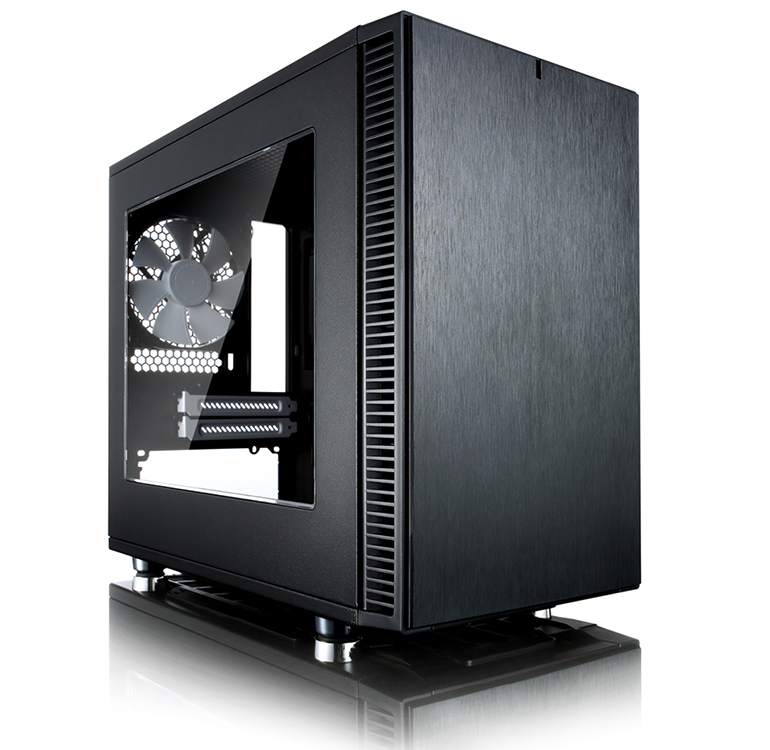 Then you're in luck, as the Swedish manufacturer has today unveiled its smallest Define Series enclosure to date, the Nano S.
Priced at £50 and designed exclusively for mini-ITX motherboards, Nano S retains the look and feel of a Define Series enclosure and includes sound dampening material on its front, left and right side panels. Two Dynamic Series fans are includes as standard - a 140mm front intake and a 120mm rear exhaust - and the 275mm (W) x 485mm (H) x 420mm (D) frame isn't short on build potential. 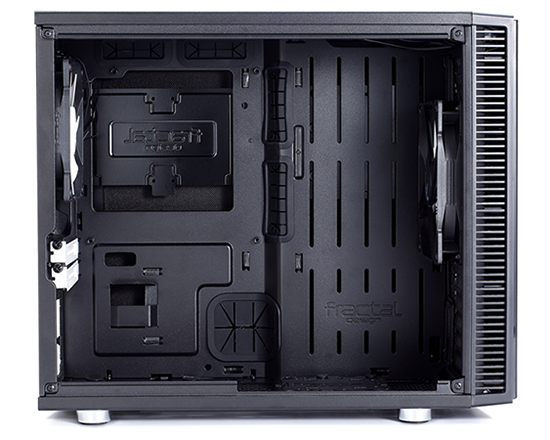 Two expansion slots allow for a dual-slot graphics card measuring up to 315mm in length, a CPU cooler can stand up to 162mm tall, and with half-a-dozen fan mounts in total Fractal reckons you can squeeze in a 240mm radiator up top or a 280mm radiator in the front. Pre-drilled holes for pump and reservoir are nice touches for the liquid-cooling crowd, and for the rest of us there's up to 35mm of space behind the motherboard tray for excess cabling, as well as Velcro ties to help keep things tidy. There's no love for optical discs, and sadly no fan controller, however you do get mounting points for up to four 2.5in storage devices and two of these bays are also compatible with 3.5in drives. Our initial impressions are it's a nice-looking box at a reasonable price, but there is a caveat in that retail availability isn't expected until March at the earliest. We'll endeavour to bring you an in-depth review in the weeks leading up to launch, but in the meantime there's a video overview above, specifications below, and don't miss your chance to win the Define Nano S in our latest competition.